On jessannkirby: Elizabeth & James sunglasses, French Connection sweater. On thezoereport: Jimmy Choo heels, J Brand jeans. On tomokoogura: 6397 and 6397 shorts, Manolo Blahnik oxfords. On karamode: Zara jeans and sweater, Mango bag. 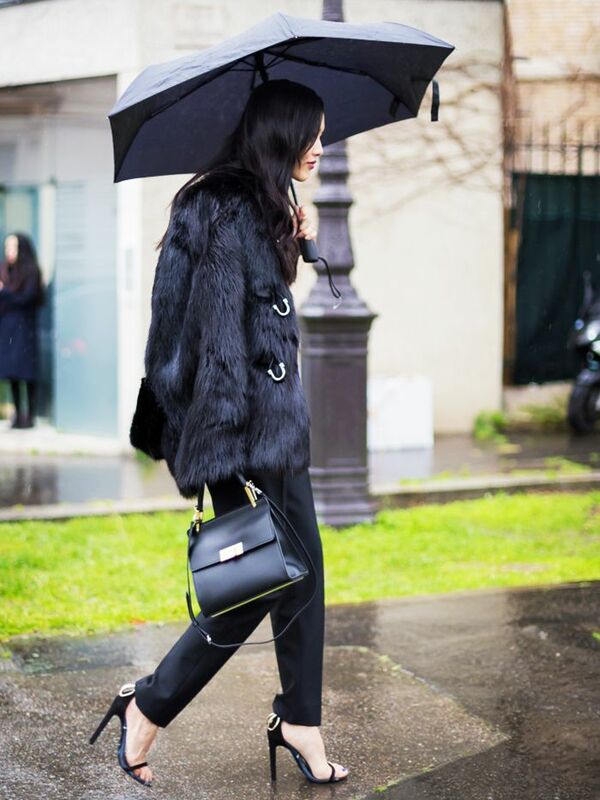 On margoandme: Vivian Chan jacket. On honeynsilk: Rag & Bone hat, AG Jeans, Current Elliott jacket. Shop more black skinny jeans. On stellamccartney: Stella McCartney shoes. On vonvogue: Helmut Lang booties, Mango top, Zara pants, Miamasvin coat. On stellamccartney: Stella McCartney top, skirt, and shoes. Shop more Stella McCartney shoes. Shop more black pencil skirts. On halliedaily: Stella McCartney coat. On thefashionsight: Celine sunglasses, Sandro coat. On cassandradelav: H&M sweater, Chanel bag. On jessannkirby: Sole Society scarf, Talbot's boots, 7 for All Mankind jeans, Brahmin bag, Barbour jacket. On margoandme: Bebe hat, H&M jacket. 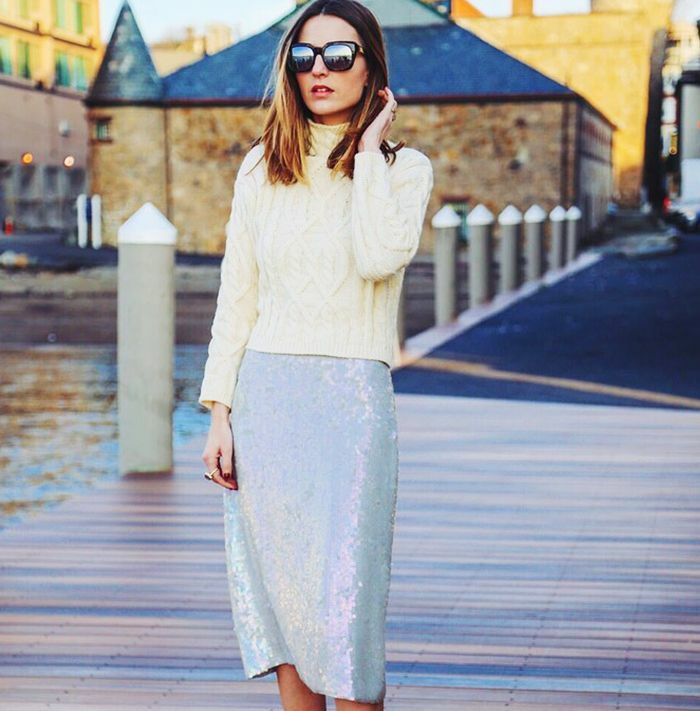 On louiseroe: Fine Collection sweater, Illesteva sunglasses. On theaugustdiaries: Isabel Marant booties, Aritzia bag, Ray Ban sunglasses. On vonvogue: Chicwish vest, Zara sweater, Rupert Sanderson flats, Nina Ricci clutch. On stellamccartney: Stella McCartney sweater and dress. On thezoereport: Gerard Darel top, YSL pants, Viktor & Rolf bag, Thierry Lasry sunglasses. On le-fashion: Seiko watch, H&M jacket, Proenza Schouler bag. On noanoir: Gap jeans, COS sweater, Shoemint heels, Fiveleft clutch. On karamode: Zara coat, H&M hat. 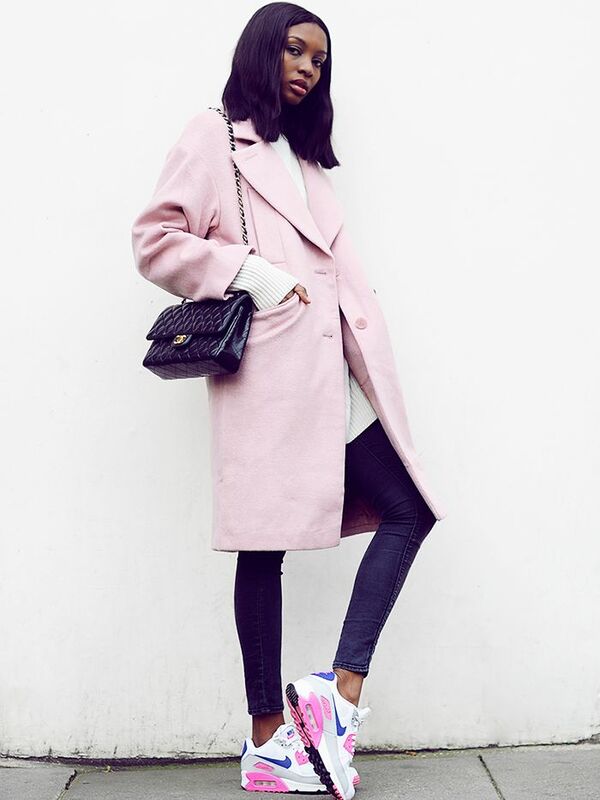 On margoandme: Line and Dot coat, Hare + Hart bag. On jessankirby: Topshop sweater, French Connection coat, Joes jeans. On caramcleay: Celine bag, Valentino heels. On cassandradelav: vintage bag, Zara coat. On thefashionsight: Lou & Grey coat. On honeynsilk: For Love & Lemons dress, YSL bag. On theaugustdiaries: Forever 21 bag. On margoandme: French Connection jacket. On stellamccartney: Stella McCartney jeans,sweater, and clutch. On thezoereport: 3.1 Phillip Lim bag. On glamourmag: Tibi skirt, Erickson Beamon necklace, House of Harlow sunglasses, LnA top. On vonvogue: BB Dakota sweater, Rupert Sanderson flats, Mango jeans.